Back in 2014, a relatively new brand with an ingenious name entered the Indian smartphone market, and the rest is history. That company was OnePlus and it has managed to come a long way since then — four years to be precise — and its smartphones still remain one of the most sought-after devices. To celebrate the fourth anniversary of its partnership with Amazon India, OnePlus is offering a host of offers on its latest flagship, the OnePlus 6T, starting November 30th. Today, OnePlus has expanded its presence in the Indian smartphone market with its smartphones available to purchase from online as well as leading offline channels, including its own authorised OnePlus stores. However, back in 2014, you could only purchase the OnePlus One from either OnePlus.in or Amazon India, and that too if you had a special invite code. OnePlus had merged the online buying process on its own website and Amazon such that invites claimed into a OnePlus account could be used to purchase OnePlus One on the Amazon India website. Fast forward to now, and Amazon remains the OnePlus’ exclusive partner for online sales. According to OnePlus, Amazon India has been a key factor in the growth of the brand in India and statistics corroborates the claim. In a report by Counterpoint titled, ‘E-commerce Contribution to Smartphone Shipments Reached a Record 38 percent in Q1 2018,’ it was revealed that Amazon India dominated the online sales in the premium smartphone segment with 77 percent market share all thanks to OnePlus. From the invite-only sales model to an engaging ‘Referral Program’ and sales like the ‘Fast AF’ sale to pre-book the OnePlus 6, OnePlus and Amazon have had a long-standing partnership. To celebrate four years of partnership with Amazon India, OnePlus will be offering a number of offers on the e-commerce website starting November 30th. The Shenzhen-based company is offering a cashback worth Rs 1,500 as well as a six-month no-cost EMI for Citibank credit and debit card users. 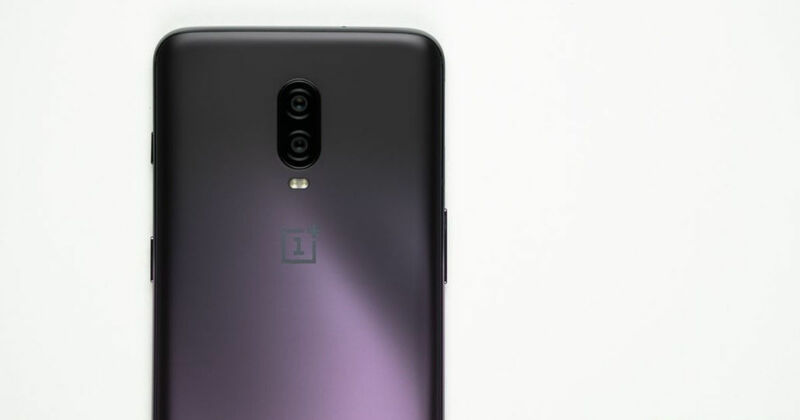 Further, the brand is offering an additional discount of Rs 3,000 for existing OnePlus users who exchange their old OnePlus smartphone for the latest 6T. That’s not all, the brand is also offering the same discount for the Apple iPhone users, as the upstart has noticed that a large number of iOS users who make a shift to Android are picking up a OnePlus handset. This was also the reasoning behind the launch of the OnePlus Switch, which lets iOS users easily transfer all of their data from an iPhone to a OnePlus handset. These offers will go live on Amazon India website starting November 30th and will be available for a limited duration. So what are you waiting for? If you have been on the fence for buying the OnePlus 6T, this is the perfect time to make a leap.